Megan Kelso was born in 1968 in Seattle, Washington where she lived on and off for 33 years. Then she moved to Brooklyn, New York with her husband. After 6.5 years and 7 very moist summers in New York, they moved back to Seattle. 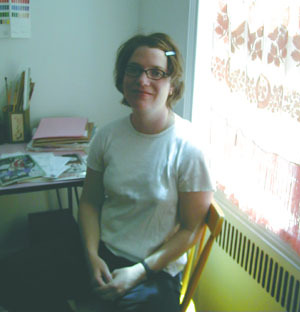 She's been drawing comics for 18 years and plans to continue doing so until she is an old, old lady. Her third book, Artichoke Tales, will be published by Fantagraphics books in spring, 2010.